As a child, you probably learned the “stop, drop, and roll” saying. As an adult with your own home, you need to go further than memorizing a few words to prepare for fire safety. Read on to learn some valuable fire safety tips for the home that will help prevent a fire and protect your family. The first step is to be prepared if a fire breaks out in your house. Place fire extinguishers in the kitchen, in your laundry room, and near your furnace or boiler. Also, install smoke detectors on each floor of the home and in each bedroom. 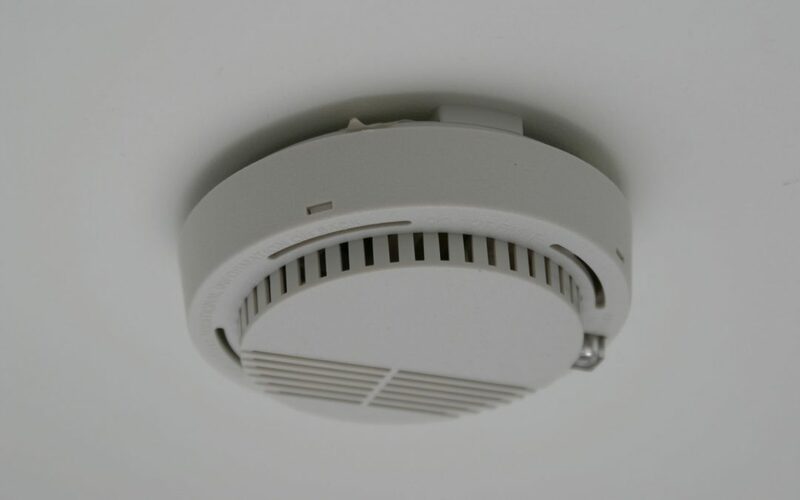 Check your smoke alarms twice a year to make sure the batteries are still in working order. When your whole family is together, talk about fire safety and make an evacuation plan. Make sure each person knows what to do when they hear the smoke alarm and the fastest way out of the home from each room. Remember to talk about checking door knobs for temperature and rolling up cloth to seal the doors and keep smoke from coming in. The practical lesson comes by teaching them how to open their own window and how to exit. You may want to invest in some window ladders. Fire safety for the home includes a solid plan for each family member to leave the house safely. Also be sure to designate a place to meet once everyone is safely out of the house, such as a next door neighbor’s home. While thinking about how to safeguard your home against fire, consider your important documents and belongings. A fireproof safe is a great investment that can hold your valuables and withstand a fire. One of the most important fire safety tips for the home is if a fire breaks out in your home, you should not worry about your belongings. Just focus on getting you, your family, and your pets outside safely. Now that you have a plan in place and are prepared in case of a fire, take some steps to prevent a fire from occurring in the first place. Make sure your furnace, space heaters, baseboard heaters, and boiler are at least a foot away from anything flammable. Keep your grill ten feet away from your home while in operation and keep lit candles away from anything flammable. At the beginning of the cold season, you should have the chimney professionally inspected and your fireplace cleaned. Clean your dryer lint filter each time you dry a load of clothes and have your dryer vent cleaned out at least once a year. MN Pro Home Inspections provides home inspection services, including chimney inspections to the Twin Cities and Western Wisconsin. Contact us to schedule an inspection.